The Cool Shop is proud to be contributing to this amazing not for profit organization that helps so many people every year, all over the country. The Sunshine Coast branch at the Marcoola airport recently had the majority of their air conditioning systems replaced by us, and we were honoured and privileged to be able to donate a portion of the new systems to this great charity. Every year LifeFlight’s iconic blue and yellow choppers and several commercial helicopters help thousands of sick and injured patients. 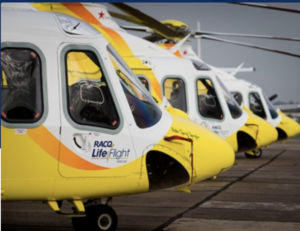 With a Critical Care Doctor on board, RACQ LifeFlight’s Rescue helicopters are regularly sent to serious accidents, where early medical intervention can often be the difference between life and death. Crews are typically made up of a Pilot, Critical Care Doctor, Aircrewman, and intensive care Flight Paramedic or Nurse. On standby round-the-clock, they can be in the air within minutes of being tasked to a mission.Most missions are performed by our community helicopters, RACQ LifeFlight Rescue which operates eight helicopters out of Mount Isa, Bundaberg, Sunshine Coast, Toowoomba and Brisbane bases.Thirty percent of this community rescue service is funded and supported by the LifeFlight Foundation through a range of different and diverse fundraising programs. The Cool Shop has provided a Daikin 25kw replacement ducted system for the main building, a new Daikin multi-head system for the pilots rooms and 2 split systems for the medical equipment room and office. 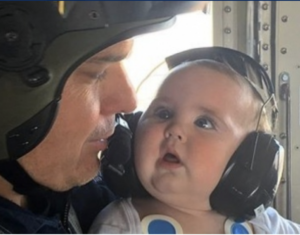 The Cool Shop and LifeFlight- helping the Sunshine Coast stay safe and cool!